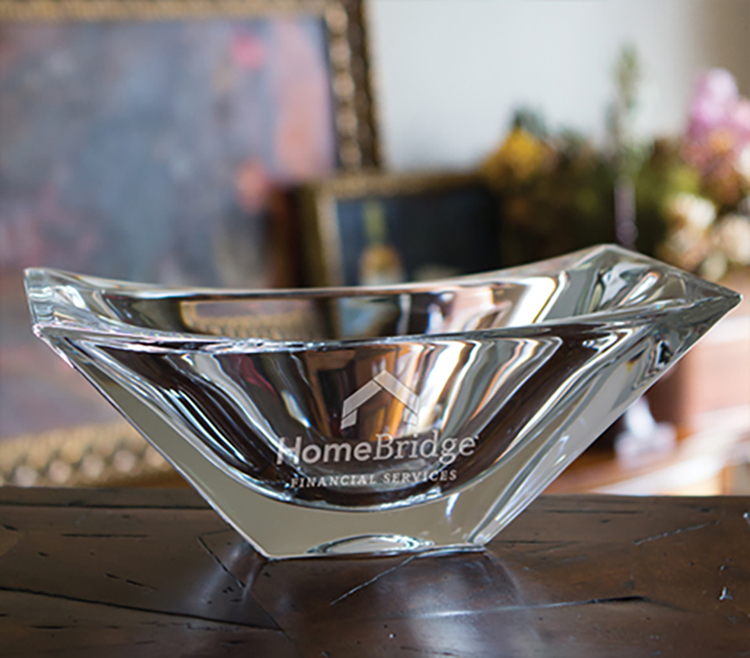 Our Reflection Bowl, handcrafted of non-lead crystal, is sure to attract attention with its beautiful, contemporary design. 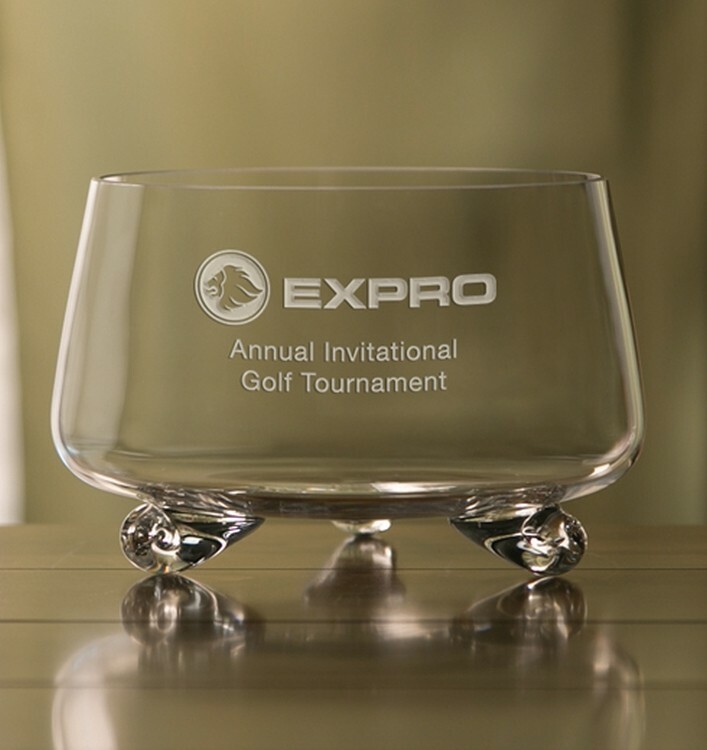 It makes a stunning executive gift or enviable award for any deserving recipient. Each piece comes packaged in an attractive gift box for easy gifting. 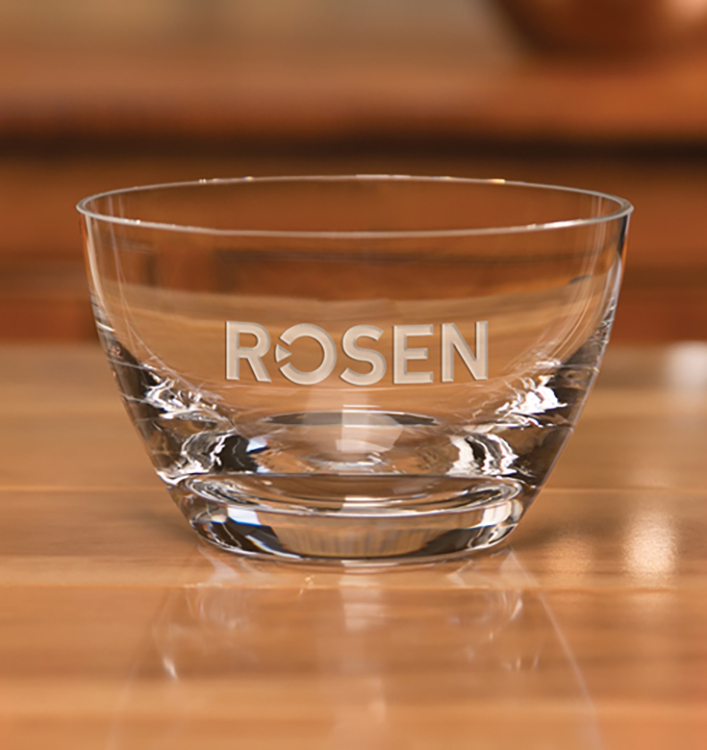 Our beautiful Cosmos Bowl makes an ideal gift for employee achievements and company milestones. Handcrafted of non-lead crystal, this stylish. 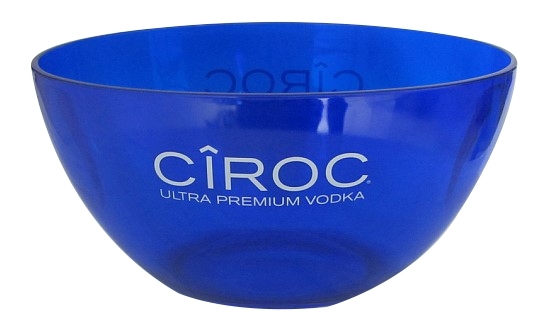 Contemporary serving bowl features a sturdy weighted bottom for excellent stability. Each personalized piece comes packaged in an attractive gift box. 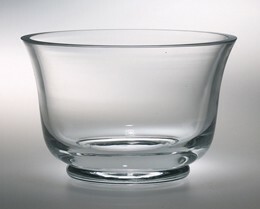 Our Fairfax Footed Bowl is an elegant choice at an attractive price. Featuring a scrolled foot design, this vintage style piece is made from non-lead crystal handcrafted by skilled European artisans. 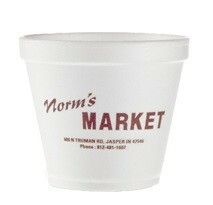 Available in large and small (6 1/2"Wx4 1/2"H) sizes. Packaged in an attractive gift box. Etch area is 2 1/2"x1 1/2" for small bowl. 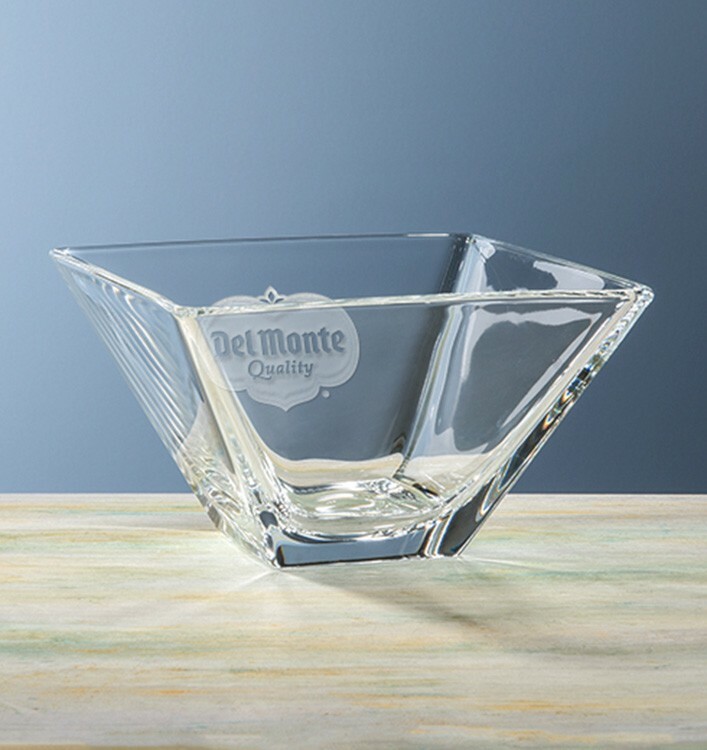 The beautiful and contemporary Applause Bowl is crafted of 24% full lead crystal and polished by hand to a sparkling finish. 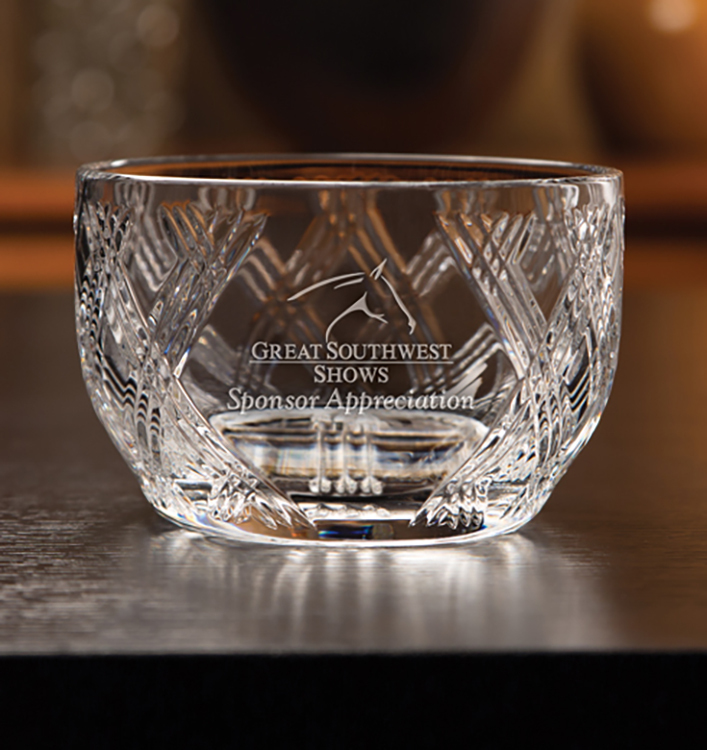 It makes the perfect gift with ample room for your logo or personalized message. Available in three sizes and packaged in an attractive gift box. 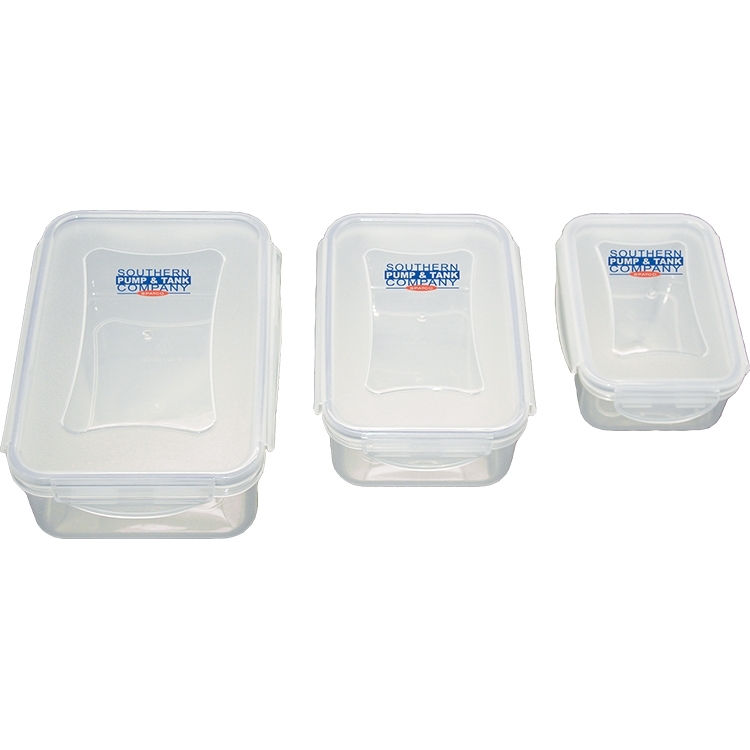 Etch area is 1 3/4"x1 3/4" for medium bowl (6"Dia x 4"H) and 1 1/2"x1 1/2" for small bowl (4 1/2"Dia x 3 1/2"H). 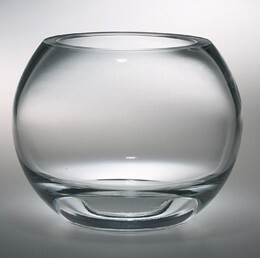 Made of fine quality imported glass, our Quadro Bowl features a unique square shaped and flared design. Etching is done on the outside of piece for a stunning show-through effect. 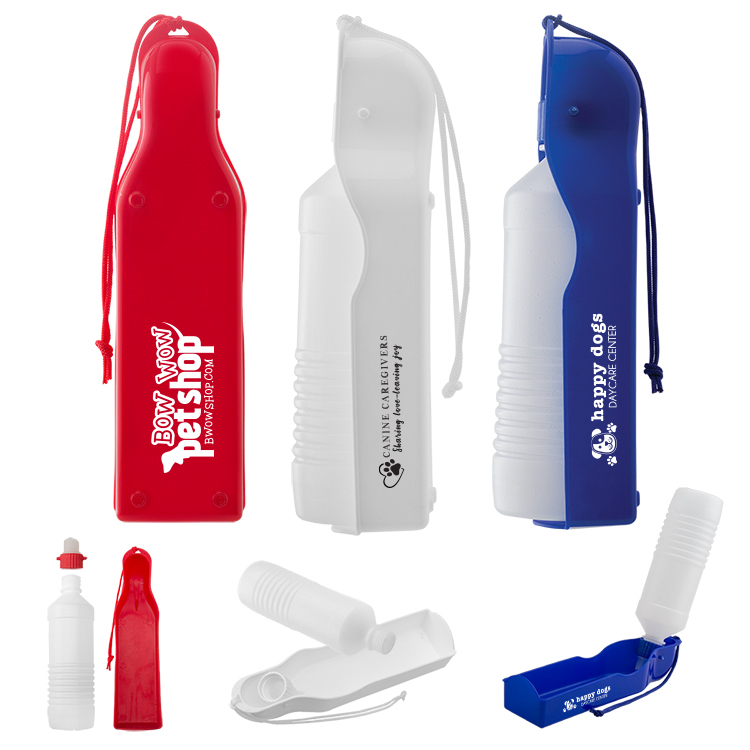 It makes a great gift or branded accent for offices, hotel rooms, or waiting areas. Packaged in an attractive gift box. 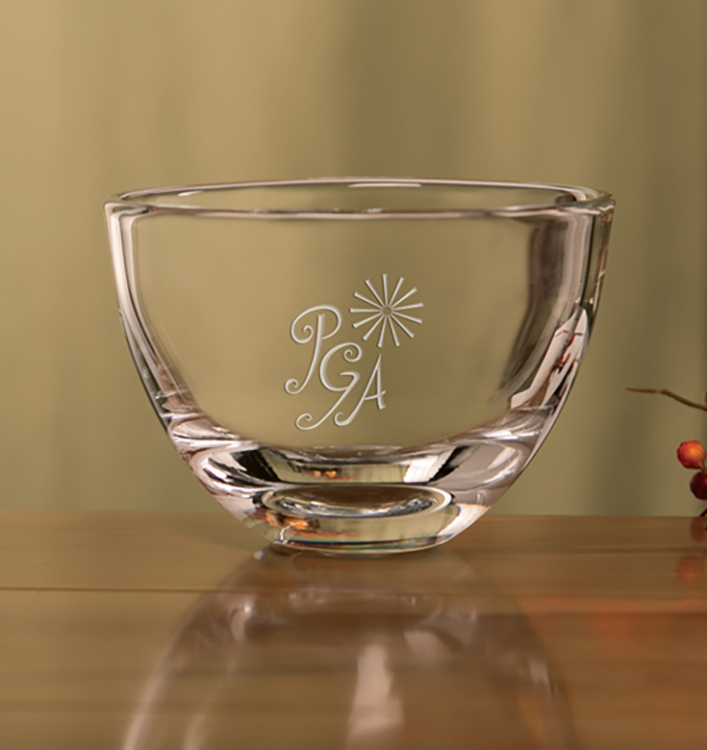 Our Heirloom Bowl is perfect as a gift or an award. This Revere-styled piece is handcrafted of non-lead crystal and comes in two sizes. 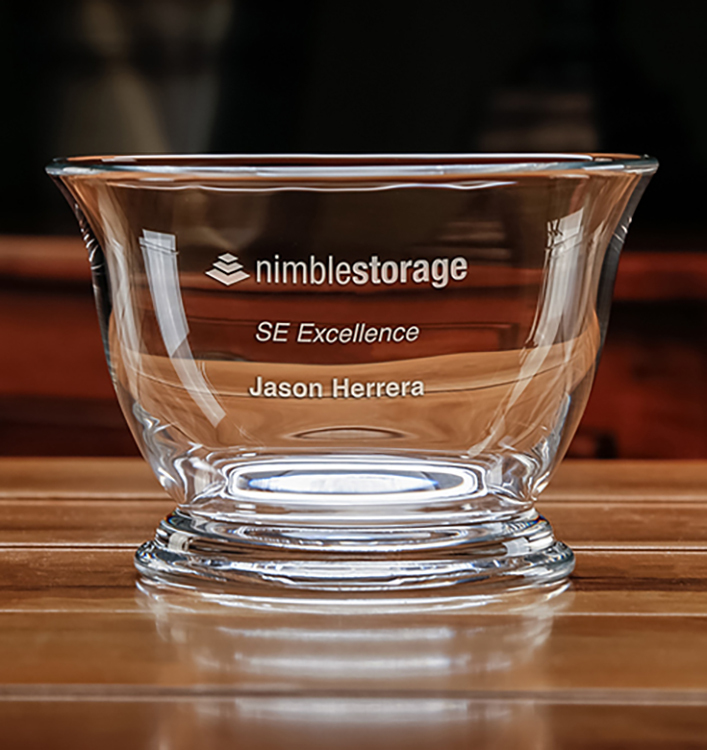 Its size, weight, and presence make it a very desirable and thoughtful way to recognize appreciation, dedication, and accomplishment. 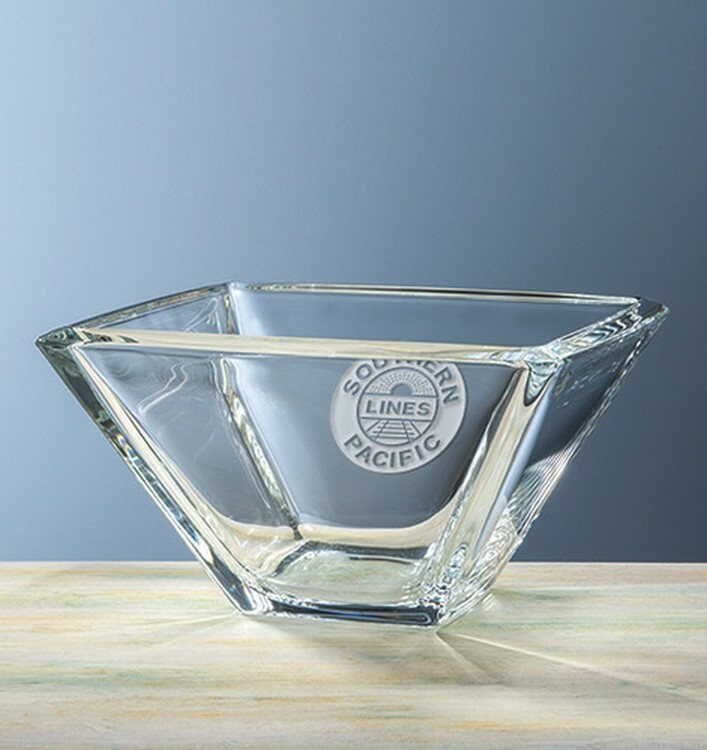 The heavyweight Quartet Bowl is made of fine quality imported glass and features a unique flared square shape. Please note: etching is done on reverse side, showing through. Available in three sizes, packaged in an attractive gift box. Etched area is 2"x2" for medium bowl(7 3/4"Wx4 1/4"H) and 1 1/2"x1 1/2" for small bowl (5 1/2"Wx3 1/8"H). 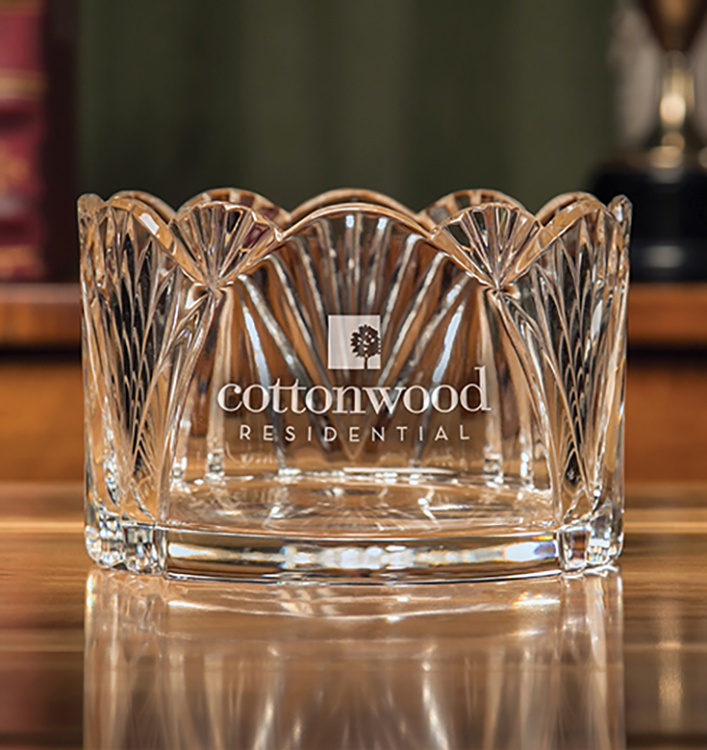 The beautiful and contemporary Herald Crystal Bowl is crafted of 24% full lead crystal and polished by hand to a sparkling finish. 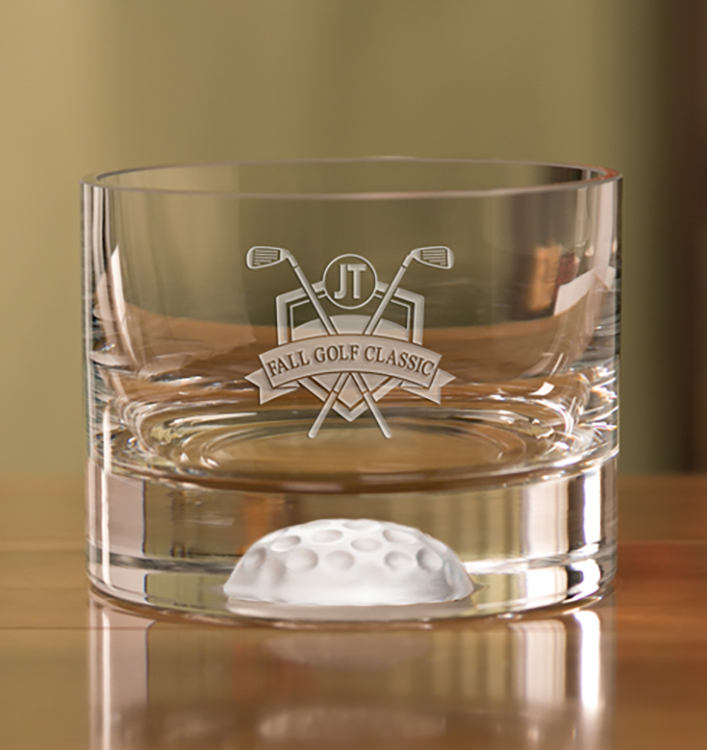 It makes the perfect gift with ample room for your logo or personalized message. 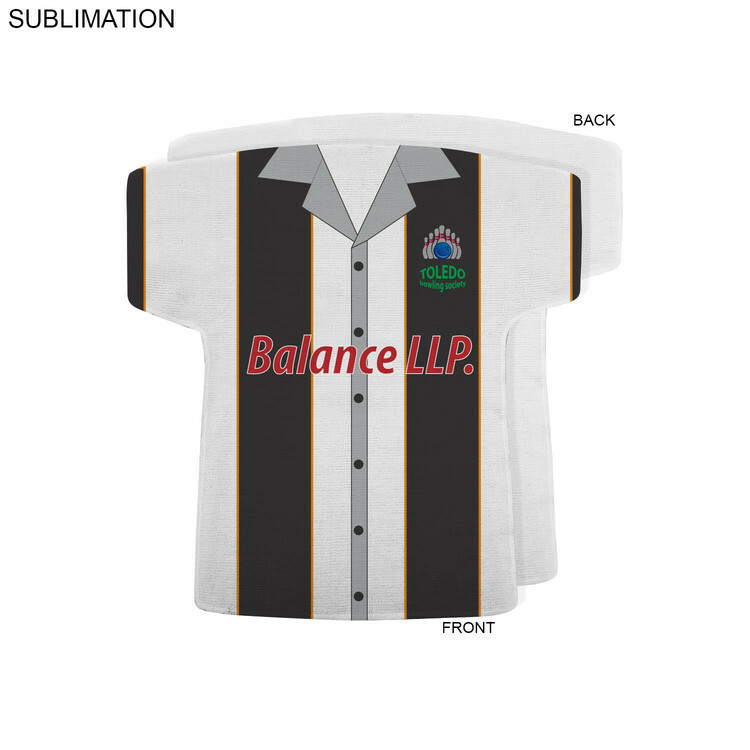 Available in three sizes and packaged in an attractive gift box. Etch area is 2"x1 3/4" for medium bowl (6 3/4"Dia x 4 1/2"H) and 1 3/4"x2" for small bowl (5"Dia x 3 1/4"H). 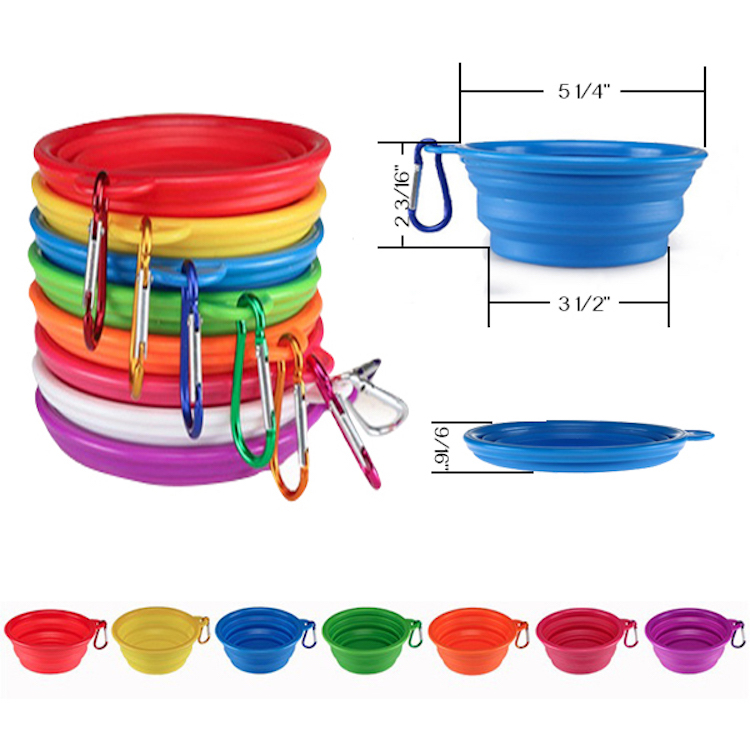 Made of silicone material and used for taking dog food and water. Portable, durable, and easy to carry. A perfect accessory for traveling, walking outside with your dog. Your logo is welcomed. Shipping by sea if qty is over 5K. 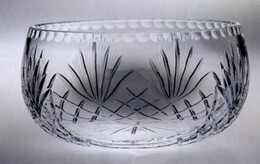 Raleigh Festival Award Bowl-24% Full Lead Crystal. Ice bowl is made of PS. 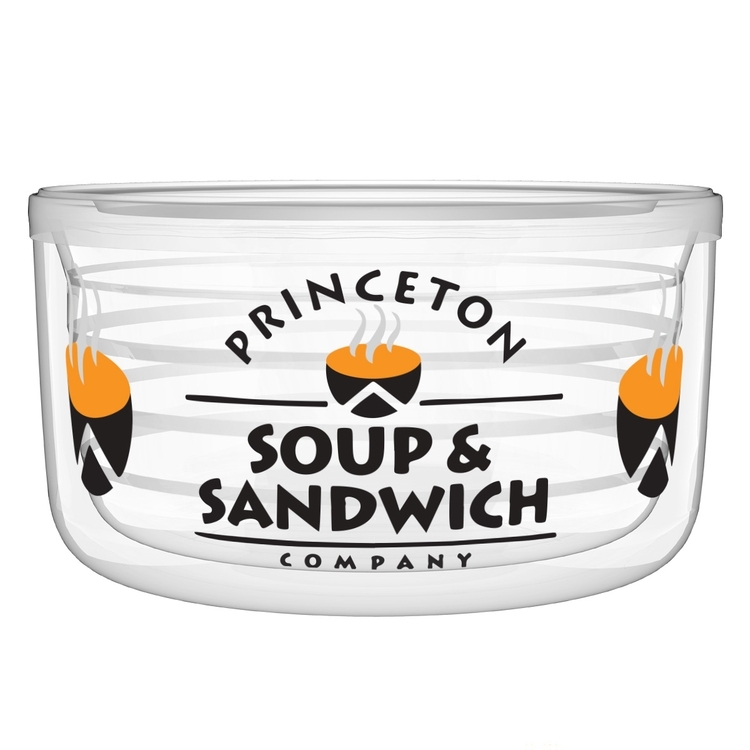 Can print your logo on the bowl. For wine, beer and champagne. 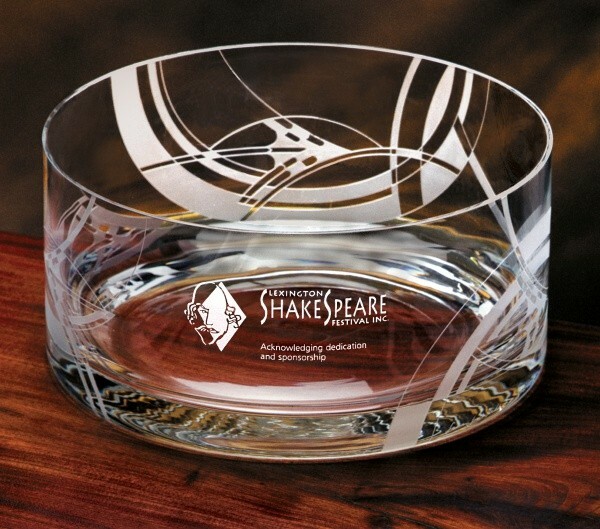 In the Spirit of Frank Lloyd Wright® Swirling patterns etched upon glass cylindricals create endless shapes of beauty. With this design the artist presents us with images of the sea. Her fluid and overlapping curvilinears move as we move; its energy reminiscent of vast oceans while inspiring us with its sense of mystery. Like the infinite sea, this work of art speaks of life's unlimited possibilities and the untapped potential that lives within. Unmistakably connected to nature, these mouth-blown pieces promise to feed the soul like a walk on the beach. Each award is signed by the artist, Susan Jacobs Lockhart, and a $10 contribution will be made to the Frank Lloyd Wright School of Architecture on behalf of your purchase. A romance booklet about this award and your donation is included for your presentation. 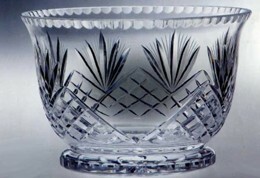 Raleigh Golf Rose Bowl-24% Full Lead Crystal. 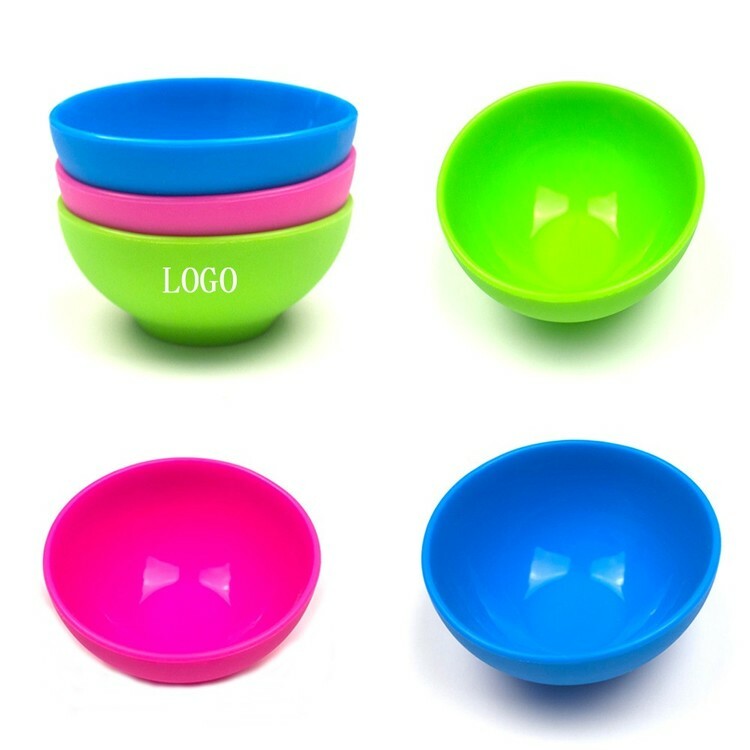 Silicone Bowl is very useful in daily,long life cycle, easy storage, easy cleaning, environmental protection and non-toxic,it is not easy to break or pull out, not easy to deform,Using 100% silica gel raw materials,it is safe for baby to eat,client can design their own LOGO. 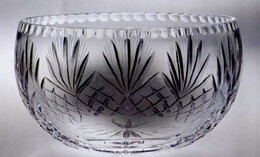 Raleigh Conquest Recognition Bowl-24% Full Lead Crystal. California Rose Bowl Award. Extra Thick. Lead Crystal. Affordable Party-Starters • Low Minimums! • Low Prices! MADE IN USA!! 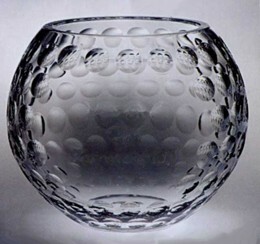 Raleigh Revere Bowl-24% Full Lead Crystal. 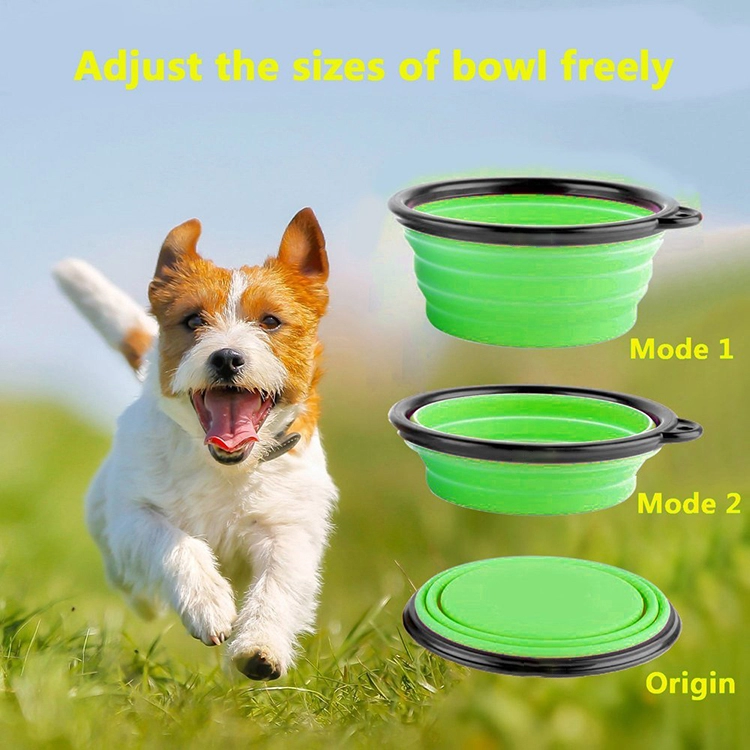 Folding bowl for dog is made of oxford cloth. Light weight, durable and reuseable. 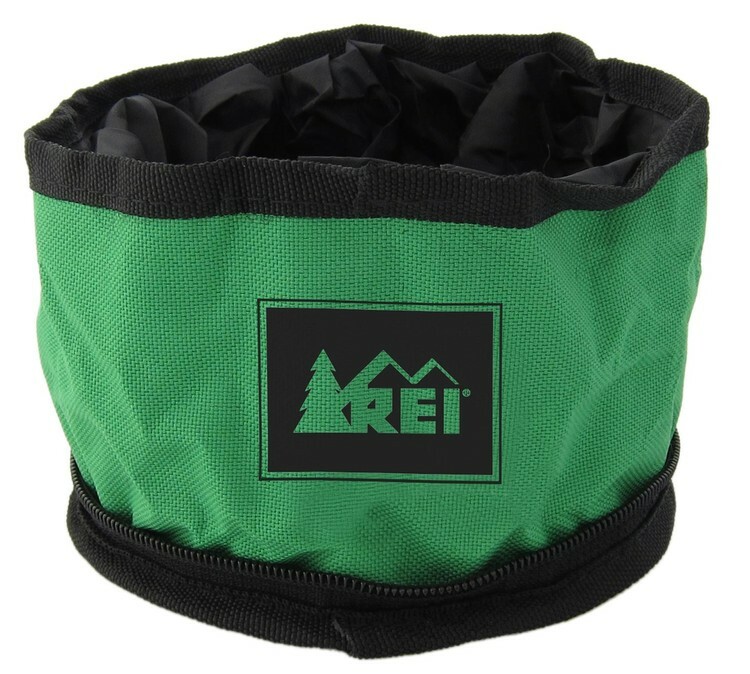 You can use it when travelling, walking, hiking, ect, great for long walks or within your neighborhood. It is very easy to take out. free Customized logo. 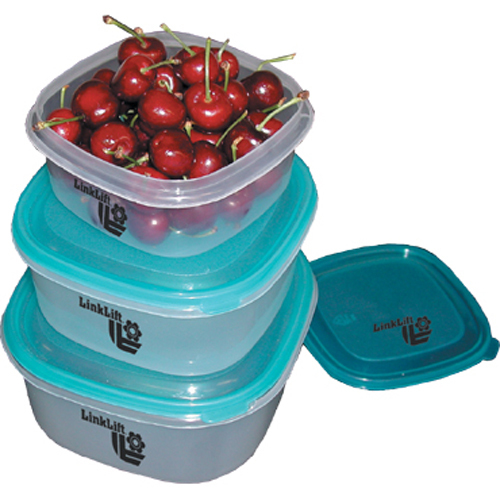 This three piece bowl set has an O-Ring that allows them to lock securely. Small holds 2 cups, medium holds 4 cups, large holds 6 cups. 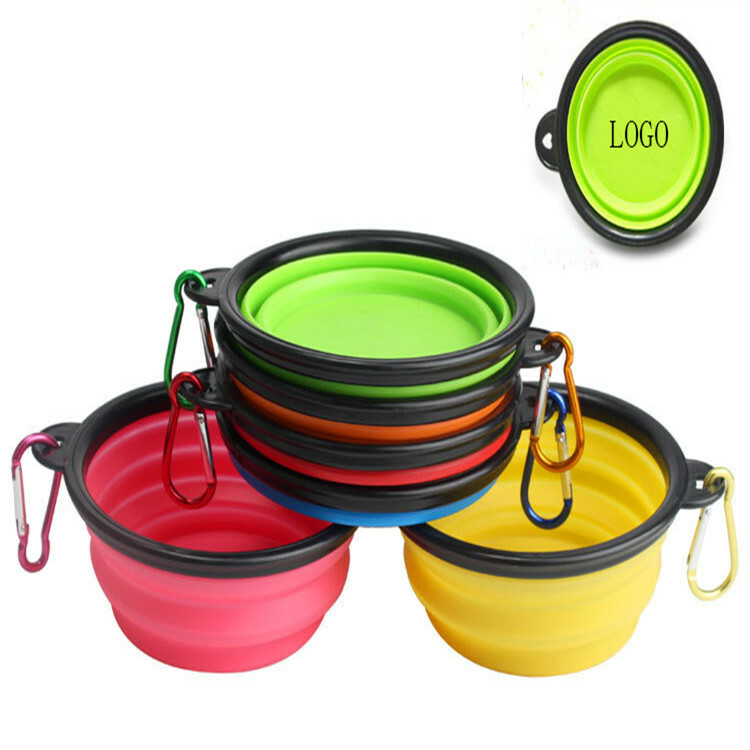 Compact collapsible pet bowl with metal carabiner easily attaches to bags, belt loops, or leashes. It is made of Rubber. 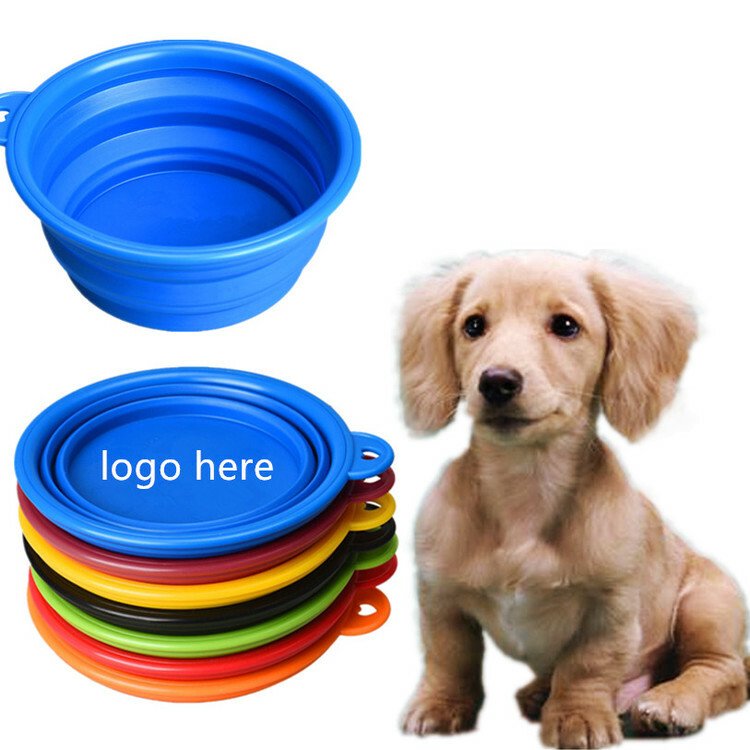 This Collapsible Pet Bowl is Easy to carry anywhere for your best friend. Great Promotion for Veterinarians, Pet Stores, Kennels, Dog Shows and much more. You can design patterns or logos that you like.